A laser tag team planning prior to their mission. Laser tag has been around since the 1980s, and while the equipment has evolved over the ensuing 30 years, the game has remained essentially a shoot-em-up. 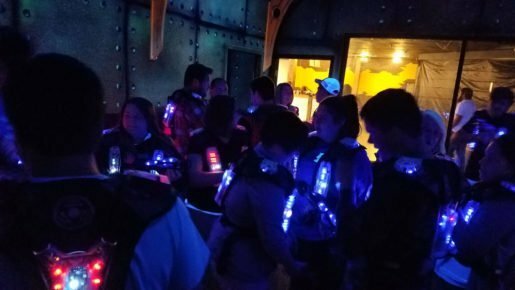 However, with the opening of He Hu Darz in Middlesboro, Ky., on Thanksgiving Day 2016, laser tag now offers teamwork development, learning objectives and an educational component that appeals to players from middle school to adults. Tim Huddleston, a high school teacher and pastor, and Michael Hendrickson, a high school football coach, and their wives had been talking about doing for years about opening a laser tag facility. In 2004 they put together a business plan but couldn’t find the right location. Both families are concerned about kids having enough to do to stay out of trouble so they wanted their facility to be local. There are seven high schools within 15 miles and no other laser tag facility closer than 1 ½ hours, all smaller than He Hu Darz. Finally, 15,000 square feet became available in a former Sears at a fading mall. They have their own entrance so are not limited to mall hours. They broke ground in August and, amazingly, opened on Thanksgiving, the date they had announced from the very first. Huddleston said that locked them in to a schedule and didn’t leave any room for slacking off. They also wanted to catch Black Friday business and Santa’s arrival at the mall. 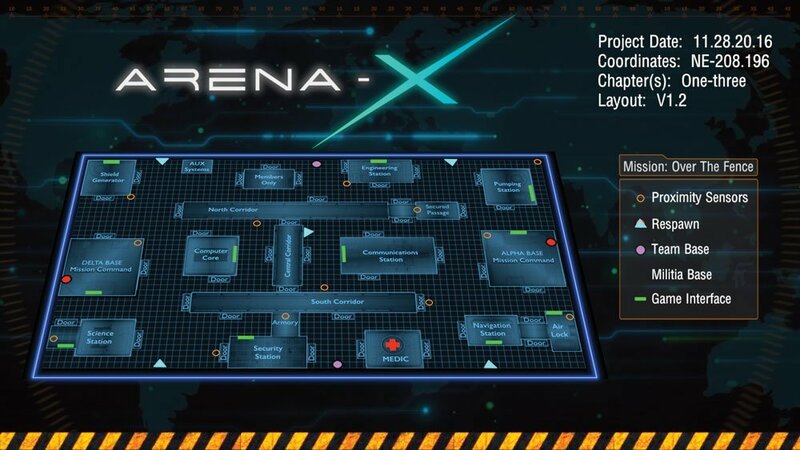 Arena-X floor plan sample and layout with devices and sensors. The two couples and extended family did all the work, eventually calling on one carpenter, one electrician and one plumber for work they couldn’t do themselves. Huddleston laid all 10,000 square feet of flooring himself and they did all the painting. Huddleston and Hendrickson had researched laser tag for years and one name that came up repeatedly was Creative Works. Later, they happened to hear about Arena-X by chance and knew that was “the big boy arena” they wanted. They went to a conference that Creative Works put on, Arena-X was there and the marriage was made. Creative Works built “an awesome arena” of 4,000 square feet with a steampunk theme, possibly the first arena with this theme. Then Derek Giesbrecht added the Arena-X system on top of that. 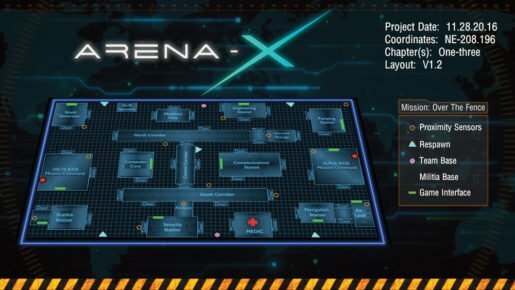 Giesbrecht created Arena-X as a fully immersive system designed for the broadest possible market appeal to attract a profitable, mid-week, pre-booked revenue stream – games that drive membership, group fun and team building. He Hu Darz is Arena-X’s first installation in the US; they have one in Canada. They can add their software to an existing laser tag system (it is compatible with any game out there) but have more options available if they are part of the initial design as they were in Kentucky. Currently, the Creative Works games run on Fridays and Saturdays while the Arena-X games are on Monday, Tuesday, Wednesday and Thursday and attract older players as the hour gets later. Students from nearby Lincoln Memorial University particularly enjoy the last couple of hours of the day. 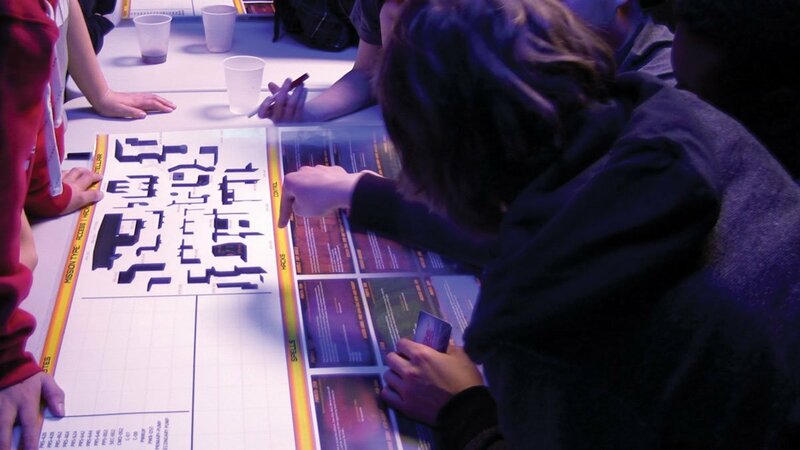 The games are determined by a marshal and some are individual play and some are team play; some even demand pre-planning by the teams. Players who buy annual memberships have access to different game modes, currently offering 76 missions, 76 game levels, and 543 objectives as well as various discounts for play, and access to extended hours and tournaments. He Hu Darz players getting ready for their battle. Three schools are already scheduled for field trips. He Hu Darz qualifies as an approved field trip because of a “Reading for Information” component (a hot topic in education circles) that is part of the Arena-X program. He Hu Darz offers party packages for birthdays, church groups, sports teams, and corporate building events. There is a special business room with Bluetooth and a projection system that accommodates 25-30 people for corporate meetings and there is a business coach on staff to work with companies that book space. The Arena-X system can be custom designed to meet a real business agenda such as teaching a Home Depot sales staff the SKUs of their products. The room will also be made available for Rotary meetings and other community groups. Children younger than 10 have access to a Bounce House with inflatables and a play area. There is also a food court with the traditional offerings of paninis, sandwiches, pizza, hot dogs, wings, and nachos. However, Huddleston and Hendrickson kicked up the offerings for Mom and Dad who come with the kids or other adults who need a break from playing. There is a high-end coffee shop separate from the snack bar with different colors, style, and lighting, comfortable seating and a family atmosphere. It has free Wi-Fi and serves fancy coffee drinks and pastries. Jennifer Huddleston, described by her husband as a “baking wizard,” produces the baked goods which include cobblers, banana pudding, hummingbird cake and a variety of delectable cupcakes. With a menu like this, mall shoppers with no interest in laser tag will find this a great place for a pick-me-up. Huddleston feels that their place has taken laser tag and stepped up into a whole new world. They’ve given people a reason to keep their money in the area and are educating kids while they’re having fun. The mall has perked up with their presence and a new store has already opened. Huddleston is planning to finish out the school year but then quit teaching to focus on his pastoring job and He Hu Darz. He agrees that it’s fortunate he only needs about four hours of sleep a night. Finally, what’s with the name – He Hu Darz? “He” is from Hendrickson, “Hu” is from Huddleston, and the whole thing is purposely hard to say as Huddleston feels that requires people to pronounce it over and over to get it right and then the name sticks in their brain.